MUST PRESENT COUPON AT TIME OF PURCHASE. TOYOTAS ONLY. Installation not included. Over-the-counter purchases only. Not valid with any other coupon or specials. Valid only at Wondries Toyota. CASH Expires 04/30/19. Breathe easier. Take control of pollen, dust & allergies. Charcoal Filters slightly higher. LIMIT 1. Some models higher. MUST PRESENT COUPON AT TIME OF PURCHASE. TOYOTAS ONLY. Installation not included. Over-the-counter purchases only. Not valid with any other coupon or specials. Valid only at Wondries Toyota. CAF Expires 04/30/19. 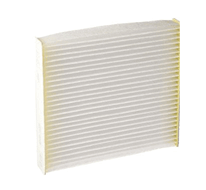 Receive an EFI Air Filter for $14.99. Available for most models. LIMIT 1. MUST PRESENT COUPON AT TIME OF PURCHASE. TOYOTAS ONLY. Installation not included. Over-the-counter purchases only. Not valid with any other coupon or specials. Valid only at Wondries Toyota. EFI Expires 04/30/19. 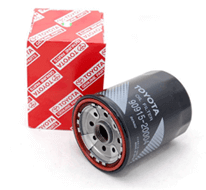 Receive a Genuine Toyota Oil Filter for $3.99. LIMIT 1. MUST PRESENT COUPON AT TIME OF PURCHASE. TOYOTAS ONLY. Installation not included. Over-the-counter purchases only. Not valid with any other coupon or specials. 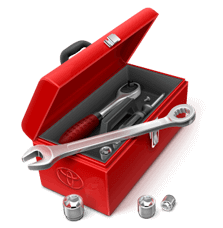 Valid only at Wondries Toyota. OF Expires 04/30/19. MUST PRESENT COUPON AT TIME OF PURCHASE. TOYOTAS ONLY. Installation not included. Over-the-counter purchases only. Not valid with any other coupon or specials. Valid only at Wondries Toyota. TUP Expires 04/30/19. 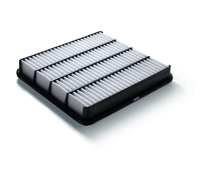 The outdoor environment is mostly responsible for causing the rubber of the wipers to break down. 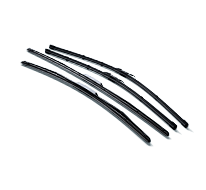 UV light, ozone, high temperatures and infrequent use can lead to the loss of the effectiveness of your wipers. Don’t wait until you can’t see due to rain, dirt, mud or sunlight impeding your view of the road. Toyotas only. If discount applies, it will be taken off the regular posted price. Must present coupon when order is written. Plus tax. Not valid with any other offer. Over-the-counter purchases only. Installation not included. Prior sales excluded. Valid only at Wondries Toyota. Offers expire 5/15/19..